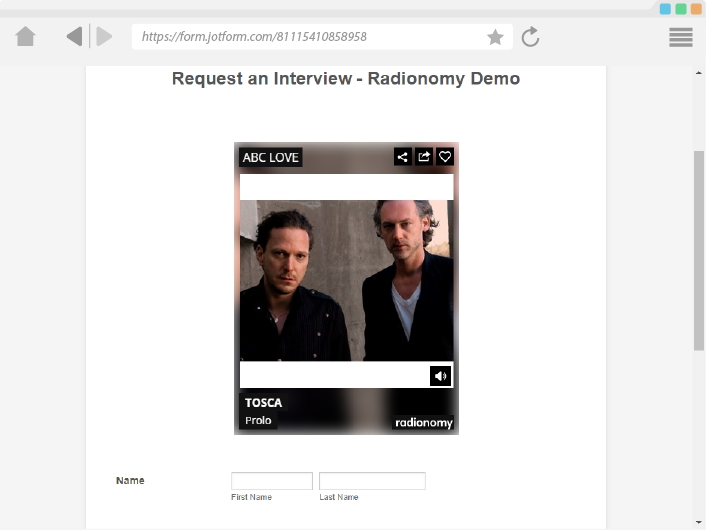 Radionomy is one of the largest online radio networks in the world with more than 6,000 internet radio stations and over 40 million listening hours/month, spreading over all kinds of music genres and cultures. 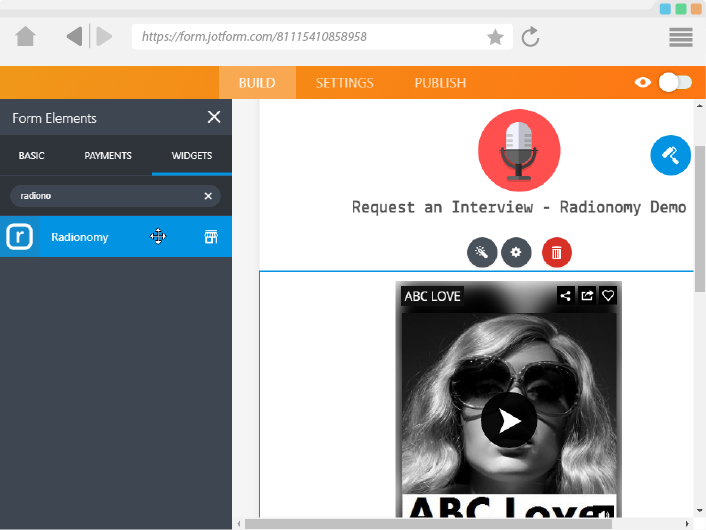 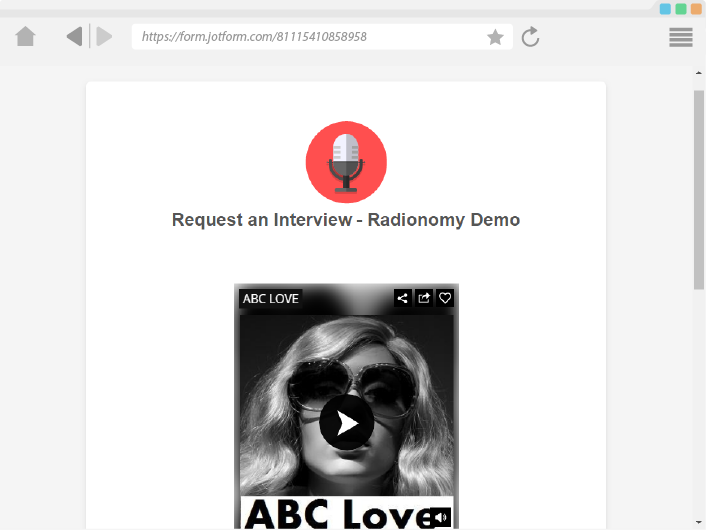 Allows you to broadcast, promote your own online radio station completely using JotForm. 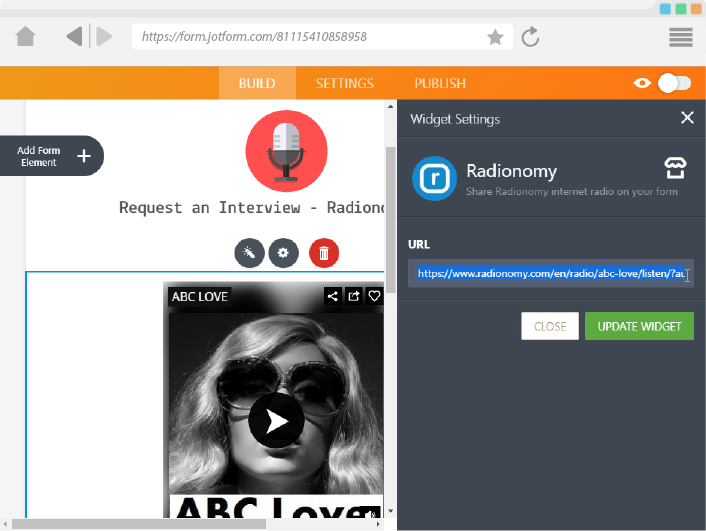 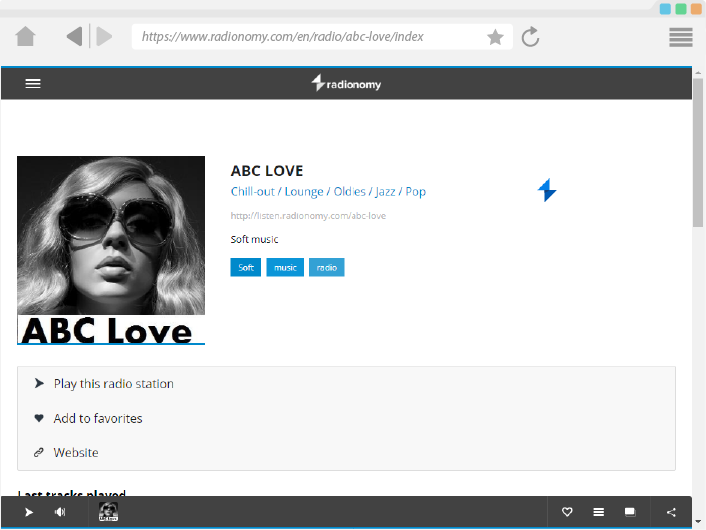 Simply add the Radionomy internet radio station's URL to the widget!